Chicago Bridge & Iron Company N.V. (NYSE:CBI) shareholders have witnessed a decrease in hedge fund sentiment recently. 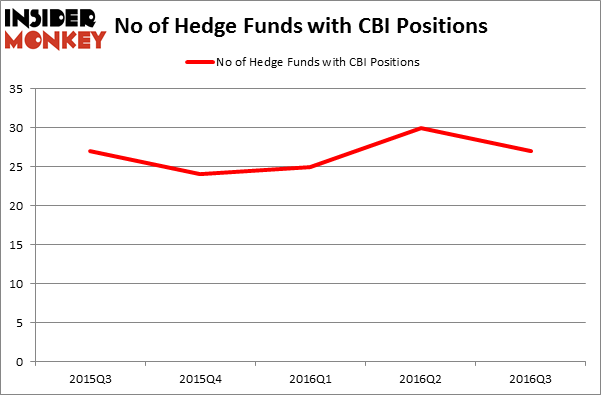 CBI was in 27 hedge funds’ portfolios at the end of September. There were 30 hedge funds in our database with CBI positions at the end of the previous quarter. At the end of this article we will also compare CBI to other stocks including Tableau Software Inc (NYSE:DATA), Synovus Financial Corp. (NYSE:SNV), and The Hanover Insurance Group, Inc. (NYSE:THG) to get a better sense of its popularity. 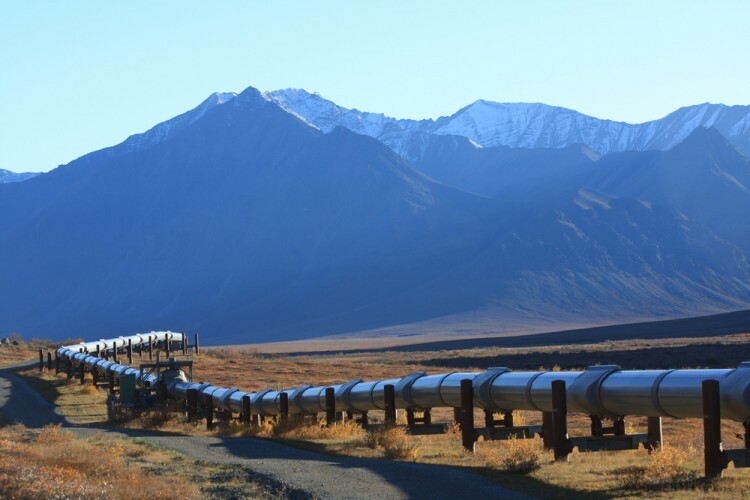 How are hedge funds trading Chicago Bridge & Iron Company N.V. (NYSE:CBI)? Heading into the fourth quarter of 2016, a total of 27 of the hedge funds tracked by Insider Monkey were long this stock, a 10% dip from the previous quarter, as hedge fund ownership has remained in a narrow range between 24 and 30 funds for over a year. With hedgies’ capital changing hands, there exists a few key hedge fund managers who were increasing their stakes substantially (or already accumulated large positions). According to publicly available hedge fund and institutional investor holdings data compiled by Insider Monkey, Citadel Investment Group, managed by Ken Griffin, holds the number one position in Chicago Bridge & Iron Company N.V. (NYSE:CBI). Citadel Investment Group has an $82.7 million position in the stock. Coming in second is Alyeska Investment Group, led by Anand Parekh, holding a $53.9 million position. Remaining members of the smart money that are bullish comprise Steve Cohen’s Point72 Asset Management and Paul J. Isaac’s Arbiter Partners Capital Management. Total System Services, Inc. (TSS): Are Hedge Funds Right About This Stock? What Hedge Funds Tell Us About Splunk Inc (SPLK) Is Lear Corporation (LEA) A Good Stock To Buy? What Explains the Huge Jump in Louisiana-Pacific Corporation (LPX)’s... Is DENTSPLY International Inc. (XRAY) A Good Stock To Buy? Has Mallinckrodt PLC (MNK) Turned the Corner?